Same old song and dance? Hardly! 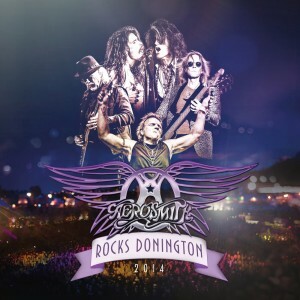 The members of Rock and Roll Hall of Fame outfit Aerosmith give everything they got to their adoring audience on the forthcoming Aerosmith Rocks Donington 2014 live set, available September 4 on multiple formats. The bad boys from Boston treat their British backers (most of whom are more than half their age) to an explosive 20-song set charged with the non-stop energy reminiscent of shows the band put on in their prime. 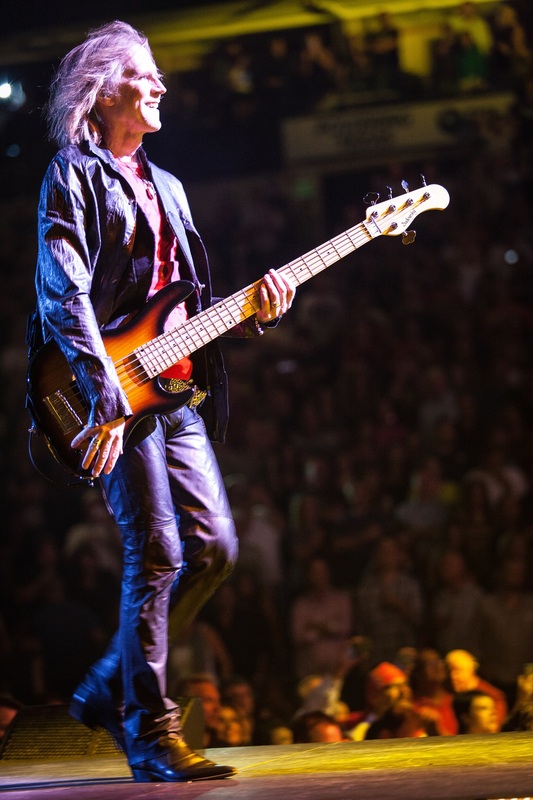 “It’s hard to come up with a good reason not to answer the call,” bassist Tom Hamilton says of Aerosmith responding to loyal fans’ pleas to keep the touring train a-rollin’ for a long time to come. Singer Steven Tyler howls and prowls the stage as ferociously as if he were back at the California Jam II festival held in Ontario, CA in 1978. Tyler’s Toxic Twin, guitarist Joe Perry, attacks his axe as hard as if he were laying down tracks for Aerosmith’s ballsy 1976 Rocks album. 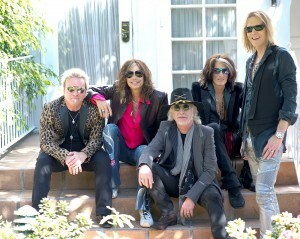 Guitarist Brad Whitford makes his six-string scream as if he were back in the studio helping assemble nasty licks for the group’s 1972 cut “The Hands That Feeds.” Drummer Joey Kramer pounds the skins and bashes the cymbals as if he were performing “Pandora’s Box” off the five-piece’s 1974 album Get Your Wings for the very first time. And finally, bassist Tom Hamilton fingers his four strings as fiercely as if he were holding down the bottom end of “Kings and Queens” off 1977’s Draw the Line when the tune was a staple of the band’s live set. 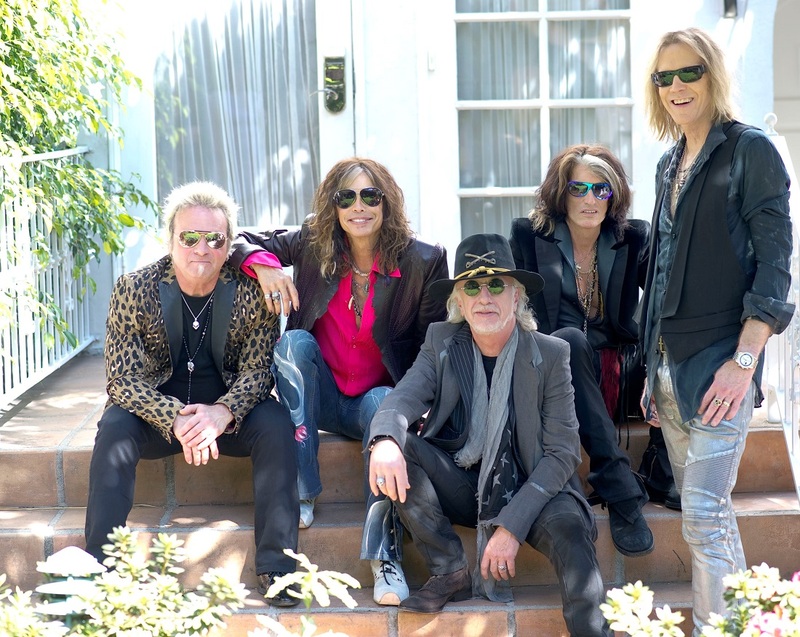 I recently spoke with Hamilton about the impending release of Aerosmith Rocks Donington 2014, the group’s well-known euphoric ups and destructive downs and what lies ahead for five guys who have experienced so many sweet and sour emotions. Tom, let me begin by asking you something that I don’t believe I’ve asked you in the past, and that would be about your proverbial – or perhaps literal – Beatles on Ed Sullivan moment. Looking back, can you recall the moment when you knew you wanted to make music for the rest of your life? Yeah. That night, I remember it was a cold night and like most of these big shows they used to be on Sunday nights and the family would gather around The Ed Sullivan Show to see what this phenomenon was called The Beatles that everybody was talking about. I’d seen them on a news program a few days before – and remember I was only 11 or 12 – and they were showing them and I’m thinking, they look like girls! Look at their hair! Why don’t they get their hair cut? And then Sunday night came along and I heard them and I was just so blown away. It was a real imprinting moment. I was already into music, but I was into instrumental guitar music, mostly by The Ventures. So then The Beatles come on and I was so blown away and I had this sort of conflict about deserting my favorite instrumental guitar band for this new band that sings, but I decided to do it! So it was a real big bang moment. All I could do is dream about being in The Beatles and buying every Beatles magazine, every deck of cards, every poster and just study this stuff. I never took seriously the idea that I was actually gonna get to my late teens and make a commitment to be in a band. I always thought it was dream; I never thought I would actually do it. And here we are! Why don’t we zip fast forward to millions of albums sold, thousands of shows performed and toss in a Rock and Roll Hall of Fame induction along the line there, and here we are today to talk about this upcoming Aerosmith Rocks Donington 2014 concert collection, available on September 4. Walk us through the process of creating the setlist, but in this particular case, knowing that the gig is gonna be filmed. Well we were doing this European tour last year and the idea of filming the Donington show came up during the tour, I believe, if I remember correctly. And we felt really good about the set that we were doing and the songs that we were playing and so it didn’t really occur to us to really make any changes to the setlist, per se, for when we filmed it. But that whole process of making up a setlist is a really complicated and hard job. Whenever we get ready to tour and we rehearse, the first days of rehearsals are always dedicated to sitting in front of the blackboard with all the songs and figuring out what we’re gonna play live. We have a certain structure that we tend to stick to in terms of the songs that we know we wanna play for people, because we love them and don’t want to disappoint them. I think a lot of bands get knocked in the press if they don’t really change their setlist completely every night. I don’t know, I guess we’re just maybe a more rehearsed, more figured out type of band. We like to go up there and really nail the audience with something that we’ve been working a long time to put together and polish and really get as good at it as we can. That was another reason why that setlist worked great for the filming as well because it was something…that we’d been doing for a long time. Such an amazing canon of songs to choose from. Again in terms of the film, how much control do you guys have over the show, how it’s shot or how it’s edited? We have complete control. We’re the king of the mountain as far as that goes. Generally we’ve done enough of these things to where we know what works for us so we demand a lot of approval on pretty much every aspect of it, including which photos they use and artwork and stuff like that for the cover. 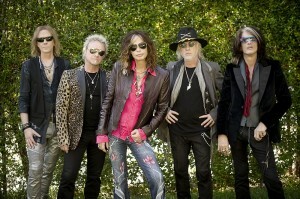 We feel like the only way we can make sure it’s as good as it can be, Aerosmith-wise. I didn’t see a soul sniffing 50 in every shot I saw. What does that say about the longevity of the band and the overriding influence of classic rock on current music? 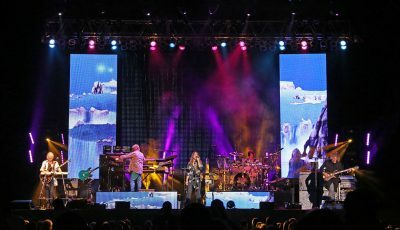 It’s interesting because [on] this tour (recently wrapped 15-city Blue Army Tour) that we just did, the composition of the crowd seemed to be a lot younger than it was last time we toured the States. And we’d already noticed that in Europe and South America where our following is actually very young, considering how long we’ve been together. In the States we always get the fans who still like to go to concerts and still love the band from maybe the 70s, or some of the early days. But there’s more younger people there; like in their teens and 20s. I don’t know, maybe it’s because there’s a certain thing that we’re doing, in terms of its authenticity as a rock show. So kids who are curious about rock, or who are inspired by it, I think they get into us because we’re kinda like a bridge back to that big bang era I was talking about. It’s amazing that there are a lot of people in their teens and 20s who are fascinated by what happened back then, as far as all the amazing bands that came out and the genres that were generated and the styles. So, yeah, it’s really neat. Yeah, I have two daughters, 31 and 25, and I often say that they were – and all our kids, in general – were the first generation to grow up with classic rock, like what you guys do; and dipping into the 60s. That to me is the power of that music and the fact that they grew up with it around the house. And now, so many bands are certainly influenced by what you guys, and of course The Rolling Stones and Led Zeppelin and on and on, have done. We’re just kind of handing down what inspired us. 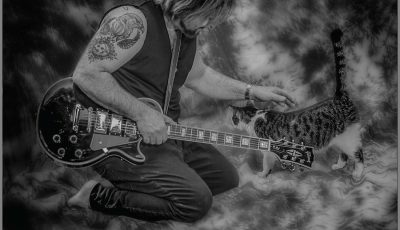 We were inspired by The Stones, The Beatles, Led Zeppelin, The Who, The Byrds, Jefferson Airplane, The Doors and other amazing, just unbelievable bands from Britain like Deep Purple. We dreamed of being famous and the whole thing. We wanted the whole thing. A lot of successful bands will deny they were after [the same thing] because they think it’s shallow, but yeah, we wanted to be famous, and we wanted to make hits and be successful and have that dream come true. (Laughs) Yeah! I mean, when we made our first records we wanted to feel the power that we felt from listening to Zeppelin albums. That’s your standard. You just wanna get in the studio and make it sound as big and huge as those other bands. 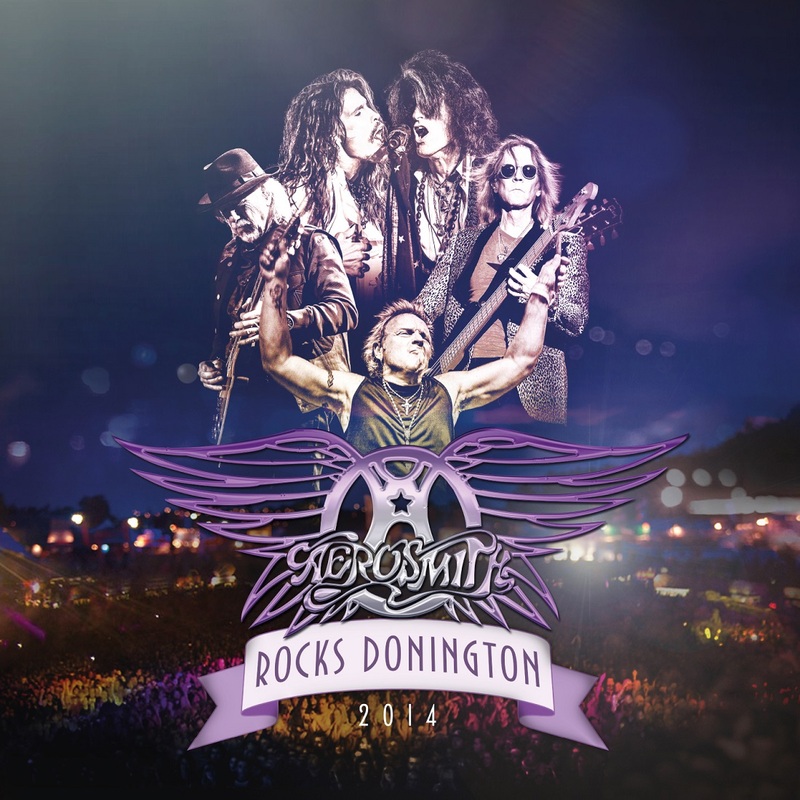 Speaking of big and huge – thank you for that segue, Tom – the setlist on the upcoming Aerosmith Rocks Donington 2014 is bookended by “Train Kept A-Rollin’” and “Mama Kin” and includes timeless hits such as “Love In An Elevator,” “Last Child,” “Dude (Looks Like a Lady),” Walk This Way,” Dream On,” and on and on. But it also features a couple of what I would consider gems: “Jaded” and “Home Tonight.” Give me an even deeper track that you especially like to play. Well I love it when we play “Lord of the Thighs” from the second album (1974’s Get Your Wings), but we haven’t been playing that one much lately. 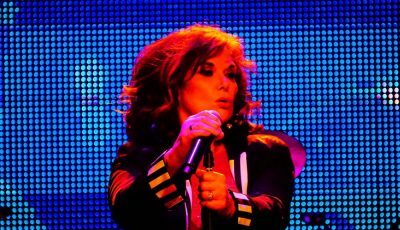 I love playing “Janie’s Got a Gun” but that one’s kind of sporadic; we don’t add that for every show. You know, “Kings and Queens” (1977’s Draw the Line)…when we were on tour in Europe, there were so many kids that were calling out for that song. Brad and I have always wished that we could put that in the set, but you have to sell it until it’s a unanimous decision for that to happen. And finally we convinced everybody to put it in there. I wish it was in that night (at Donington) but we just didn’t happen to play it that night. When I was starting out, the jocks used to beat up the musicians. Now everybody wants to be one (laughs). (Laughs) Now speaking of jocks, Tom, I might be wading into some heavy waters here but the Boston hero Tom Brady is a sure bet to be inducted into the Hall of Fame when he retires. Would you like to weigh in on Deflate-Gate? You know, I don’t think any of us really know what took place, whether he actually said to these guys who work for the team, ‘I want you to depressurize the balls so they’re at this specific pressure, or whether it was more of a look or a nod or maybe even a misunderstanding. I don’t know, the guy is so known for his integrity I just don’t think that he would knowingly cheat. Having said that, these guys are pros and when you become a pro…you do follow the rules but you follow them to their very, very limits just to have any edge you can. So I think that’s where you can probably get in trouble. But as far as the guy being devious, it just does not fit the guy. I’ve met him a few times and we’re friends with the Krafts (New England Patriots owner Bob Kraft) and there’s just never been a hint or a whisper of the guy liking to be sneaky. He doesn’t need to cheat. The guy’s damn good. Yeah, it’s true, let’s face it. I think we’ll all be glad when this is put to bed and we can move on. Yeah I think “Livin’ On the Edge.” I think that one thing about everybody in the band is that we’re proven to have issues with risky behavior (laughs). (Laughs) We seem to have a high risk tolerance, so stepping out on the edge a little bit has been something that’s worked well for us, but it’s also been very destructive in the past. Yeah. You mentioned earlier that you recently wrapped the 15-city Blue Army Tour of some of the secondary markets in the States, and you mentioned just a second ago that it’s certainly no secret that the band has navigated through numerous periods of rocky relationships, shall we say. How are you guys doing today? We’re doing good. We have things come up but we don’t have as many crises as we used to. You can have issues that are going on about stuff that’s happening at the moment, or you can get into that stuff about overall future strategy and plans sometimes if we don’t all come up the same. But in general, there’s just not the explosive resentments going on. It’s great, you know. I mean everybody gets a chance to get away from each other in between shows and that probably helps a lot. I mean everybody gets burnt out but then everybody shows up physically and mentally, spiritually ready to go do what we do. I think this time, for me, it was just such a blast, and same as last year, which is where the DVD is taken from. One of the biggest rewards of having our band after this many years is that we have a giant list of songs to play and we don’t have to put two or three gems in the middle of a bunch of songs that nobody really listens to. Pretty much every song we play – and that’s reflected on the DVD – are songs that we love and our audience loves. Final quick question for you, Tom, before we run out of time. 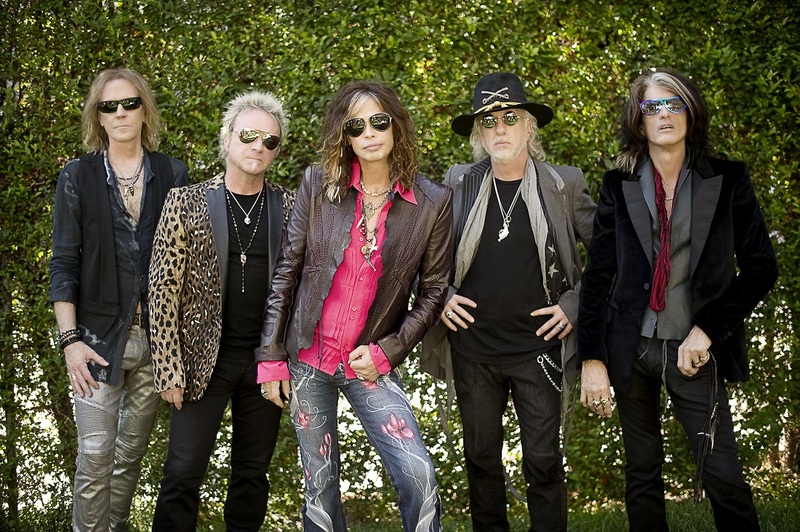 Can you picture Aerosmith ever announcing retirement, or will you guys rock ‘till you drop? I think there might be a time where we say this is probably gonna be the last big run, as far as tours go, but I don’t know, I think it’s pointless to do that because I can just visualize six months or a year after this your constantly gonna hear that your fans are still dying to hear you play. And it’s hard to resist that. It’s hard to come up with a good reason not to answer the call. [Our fans] are always there. That’s true in the U.S., it’s true of our European fans, Eastern Europe, Japan, India; in all these places our audiences are really young and they’re just discovering the band and they’re insanely enthusiastic. I just can’t imagine not wanting to go and consummate that situation. Sounds good to us! Tom, thank you. We’re out of time hear and I know you’ve got other folks you need to talk to so, it’s good to talk to you again; as I said (before we started) we’ve had the pleasure many times in the past. I’ll leave you with this: I’m going to confess that (WZLX/Boston MD/APD/Middays) Carter Alan and I are good friends, so don’t hold that against me (laughs). (Laughs) Oh, wow! Oh man, you know, I find it encouraging that there’s still people like Carter in broadcasting because they’re also our connection to what I was talking about [earlier]…the magnitude of the musical big bang that took place way back when. I will. Tom, thank you very much. It’s been a pleasure and hopefully we’ll talk again soon some time down the line. **To hear more audio of my extensive conversation with Tom Hamilton, please “LIKE” Facebook.com/CurrentClassics and look for a link to an upcoming episode of my weekly Current Classics podcast. Listen HERE. America’s Got Talent Winner, MICHAEL GRIMM Opens Up About Winning The Show and What To Expect From His Latest Solo Record!